When streetlights first lit up New York skies in 1880, Edison was initially revered as a hero. Electric lights were unlike anything his peers had seen before, accustomed as they were to gas lamps and candles, and they cheered to see the new technology go live. However, that awe quickly faded, becoming a major PR problem: Victorians may have at first viewed the invention as a modernist feat, but they mistrusted electric lights and believed they were unsafe for their homes—especially after hearing about horses that were electrocuted in the streets while traveling over lanes where transmission cables were laid. The Wizard of Menlo Park eventually gained some ground with the public after launching a massive advertising campaign—one that included dancers with lightbulbs taped to their heads, and power lines running the length of their arms—to demonstrate to audiences that bulbs were safe enough for any home. And the rest is history. 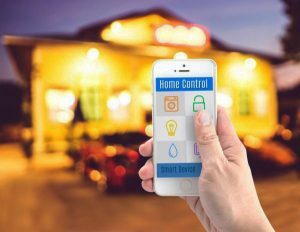 Just like electric lights, smart homes are experiencing some of the same ups and downs that plague any new technology—initial excitement, followed by resistance, especially as reports are released that detail problems.